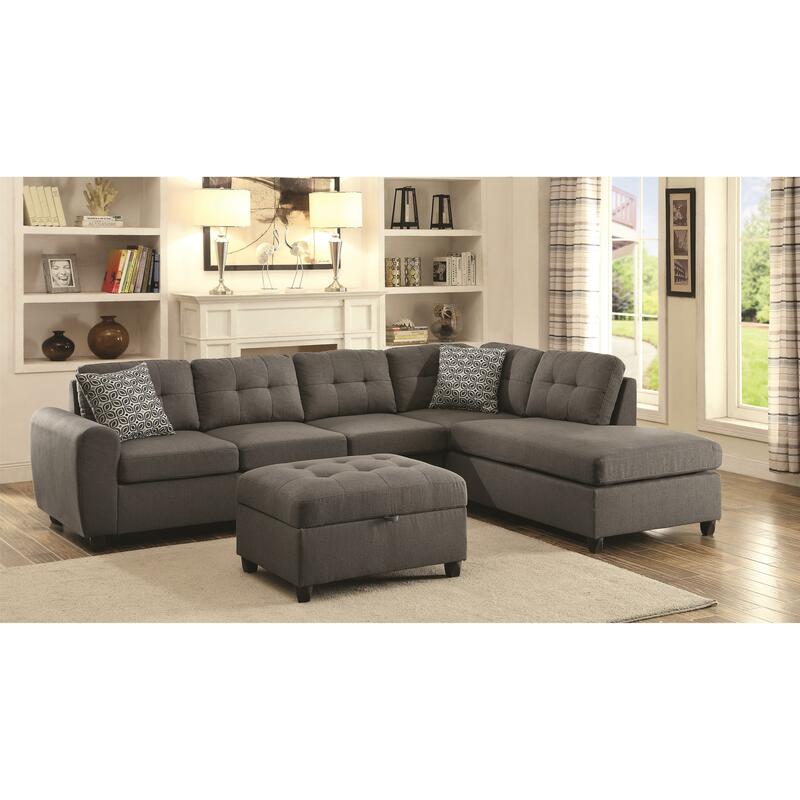 This stylish sectional is the perfect addition to your living room or television room. 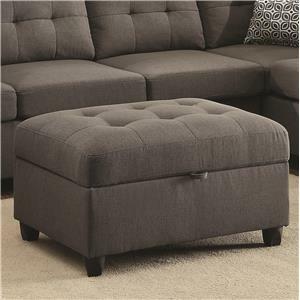 The sectional is finished with a linen grey fabric and has subtle black feet. 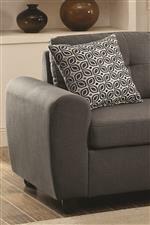 The track arm is slightly rounded for a softer appearance and the back cushions has button tufting. The frame is crafted from kiln dried hardwood and the seat and back cushions have supportive pocket coils. The Stonenesse Grey Contemporary Sectional with Button Tufted Cushions by Coaster at Value City Furniture in the New Jersey, NJ, Staten Island, Hoboken area. Product availability may vary. Contact us for the most current availability on this product. 500413B1 Sectional Box 1 1 0" 0" 0"
500413B2 Sectional Box 2 1 0" 0" 0"